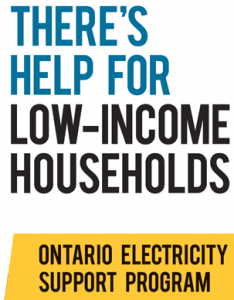 The OESP is an Ontario Energy Board program that lowers electricity bills for lower-income households. The OESP provides a monthly credit to eligible customers based on household income and household size. The OESP credits are applied directly to eligible customers’ bills. Individuals can make an application at any time. The sooner an individual applies and is accepted, the sooner they can start receiving the credits. Applications take about 6 to 8 weeks to process. Credits don’t take effect until all the information is submitted. The credit is applied directly to the applicant’s utility bill as soon as possible after the application has been approved. Eligible applicants will receive on-bill credits for two years regardless of when an application was made. The OESP Contact Centre is open Monday to Friday, from 8:00am. to 9:00pm ET. The program is available to all lower-income customers who have accounts with electricity distributors or unit sub-meter providers. The OESP provides a credit directly on the electricity bills of eligible customers. It is only available to an electricity account holder. 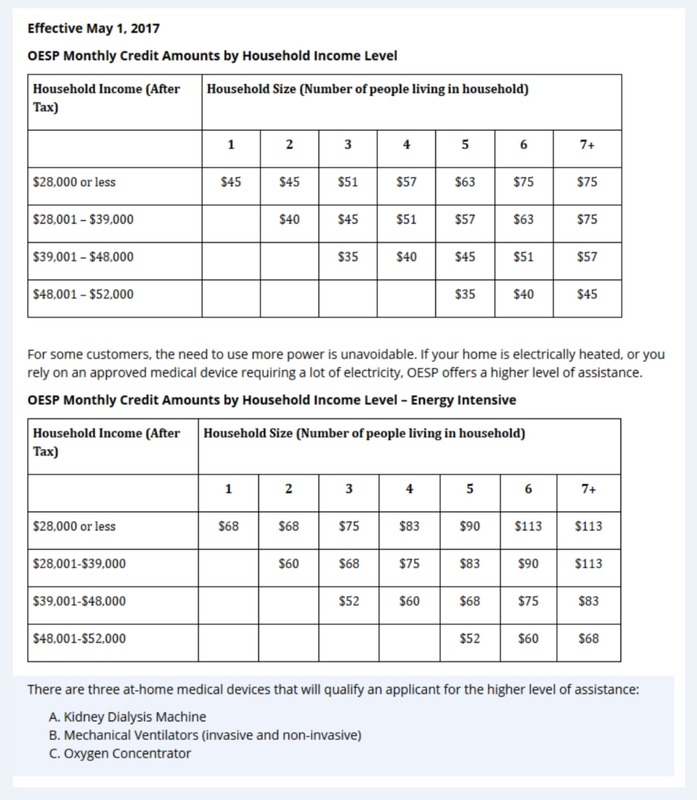 Individuals who don’t have an electricity account do not qualify. Separate program for Indigenous communities.